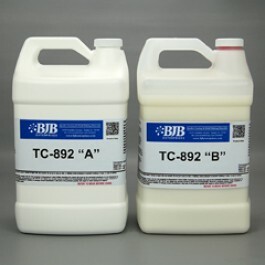 TC-892 A/B incorporates a non-mercury based catalyst system that produces a tough 80 shore D material with a 20-minute work time. This system can be used to hand pour large electronic housing, models of all kinds, and point of purchase items. This system is also available in a 5-minute work time (TC-890), and a 12-minute work time (TC-891).